Groundnut Oil Processing Machine is automatic and Multi-function. They can be widely used for many oil seeds pressing, such as peanut, soyabean, sesame, sunflower seeds, copra, olive seeds, almond and so on. They are advanced automatic oil press machine/ cold press oil machine for neem oil, characterized by their simple design, easy to use, wide suitability and continuous operation; and high productivity and high oil output rate. 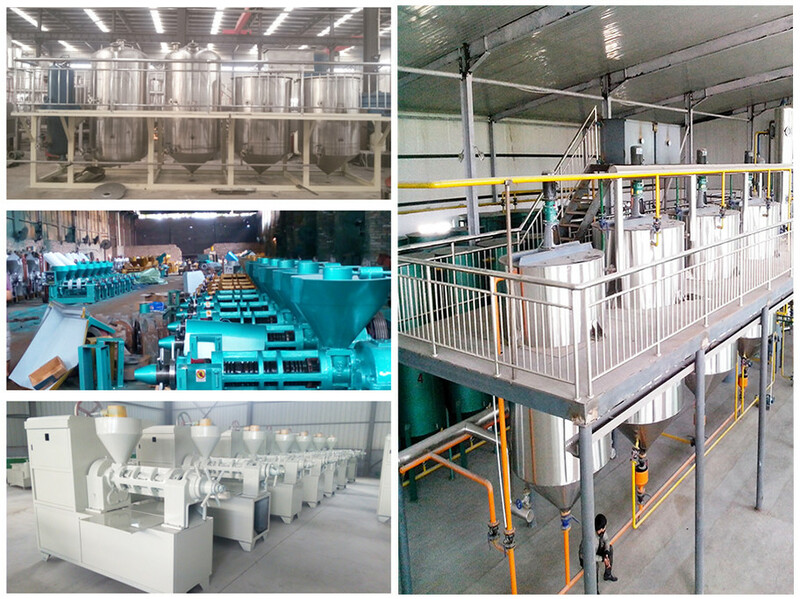 Equipped with automatic temperature-controlling and oil-filtering device, full automatic coconut oil expeller machine / groundnut oil expeller machine is more efficient and labor-saving. As equipped with two LD oil tanks to filter pressed oil, the finished oil is of high purity. You can get high purity edible oil. 1. the oil extraction rate is high: the use of directional pressure, a squeeze the net, the oil rate than ordinary oil press increased by 10% or more. 2. production capacity: strengthen the oil press to improve the feed system, increase the speed of advance, work efficiency increased by 30% or more. 3. automatic temperature control: press can automatically control the press temperature. 4. Oil press machine the internal set of LD shunt, oil, residue can be effectively separated; safe and convenient: compact structure, take up less space. 7. machine table with the latest material from electrostatic spSkype： taishan0072ing, strong adhesion, greasy, high temperature, both beautiful and clean, and clean. About packing, for small size or single machine, we can offer international export standard packing with box, if needed, we can also equipped wood materials to help protect the machines. Or packing method will depend on your requirements. For the shipping, we have a professional shipping department. They will try their best to ensure your machine packing quality and machine sending. Henan Machinery & Equipment Company Limited is manufacturer of machines with well-equiped testing equipment and strong technical force. 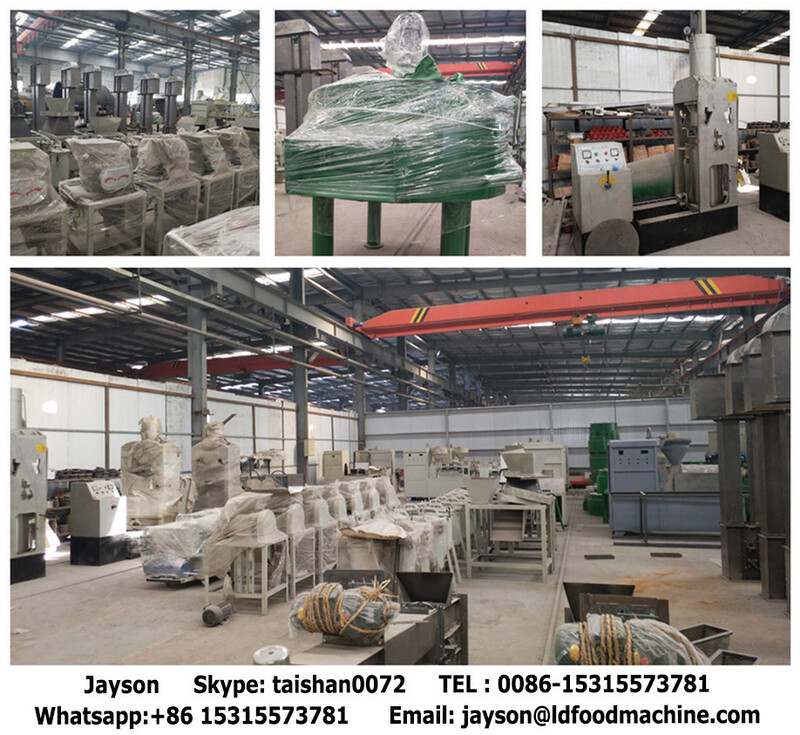 We own import & export rights and mainly produces food machines and snack machines, especially for oil processing machine and related plant lines. All the equipments have approved CE and ISO certification. Now, we integrade the research, development, production, and sale together. We welcome new and old customers from all walks of life to contact us for future business relationship and achieving mutual success! 1. 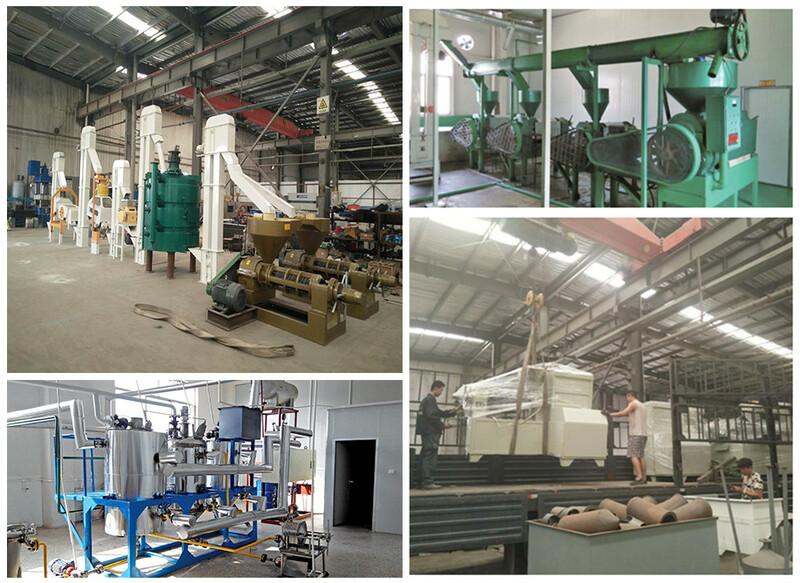 How to choose the suitable machine ? A: find the suitable capacity and choose if use full automatic or semi automatic; or ask us to help. 2. How to prepare the materials for the processing ? A: we can send you ratio and handbook to help you deal with whole processing. 3. What's the material of the machine? 4. What's the oil yeld? A: It is usually related to the raw materials. Like the peanut oil yeld is about 40-50%. 5. Can the machine deal with wet seeds? A: We don't suggest that. The best raw materials is fried seeds. 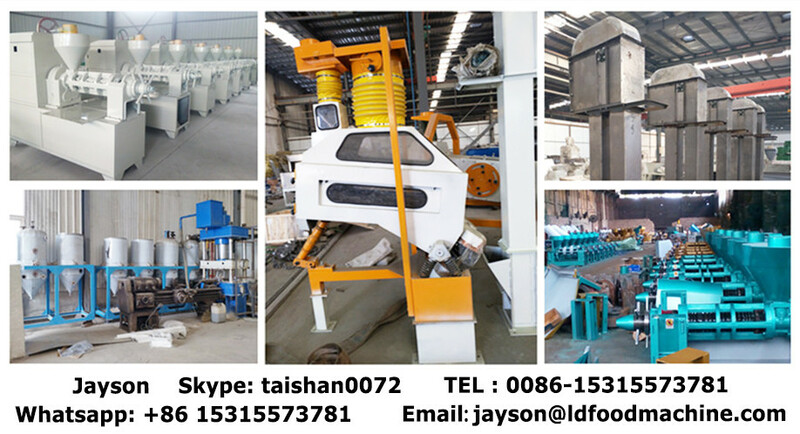 If you need we can offer you whole process line.